We all have to fight the stigma but sometimes we can’t reveal our own status. That doesn’t mean we are allowing others to make us a victim. 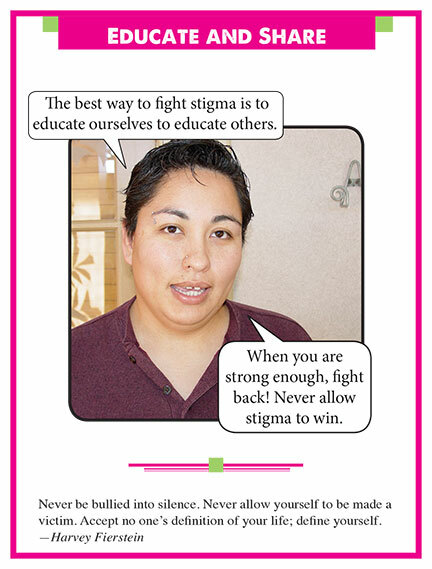 We can still fight the stigma by campaigning for support of ourselves as a whole group. HIV is big and we need to educate everyone so the disease can stop growing and lessen the stigma. Keep fighting until we can find a cure.